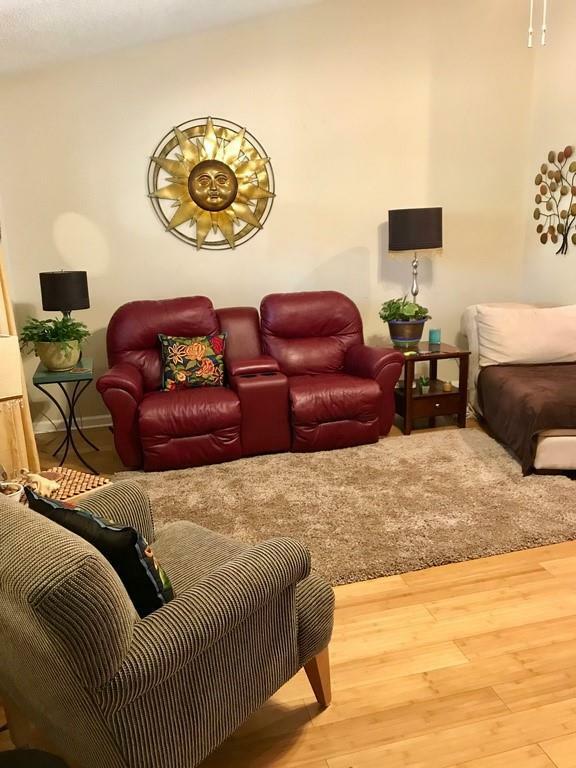 Great end-unit, one-level condo in Richmond Gardens Community. 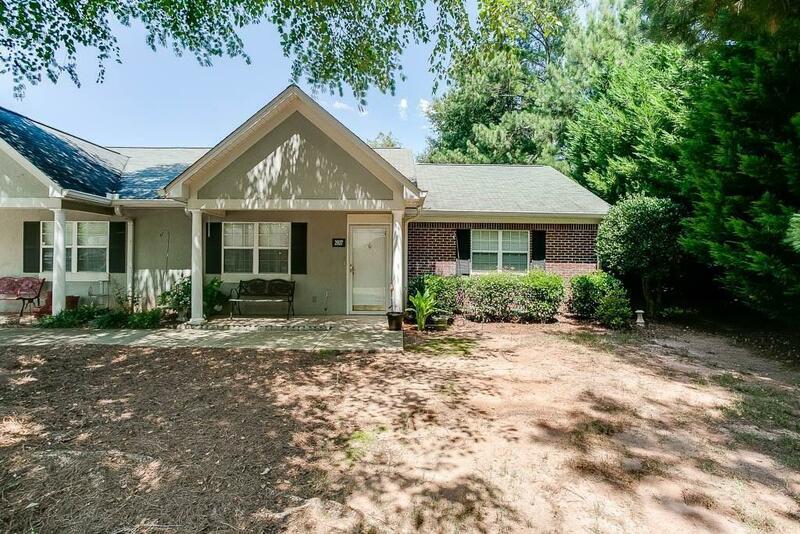 Spacious open floor plan w/sunroom, great room, ample dining area, lg pantry, laundry closet, 2 BR/2 full bath. 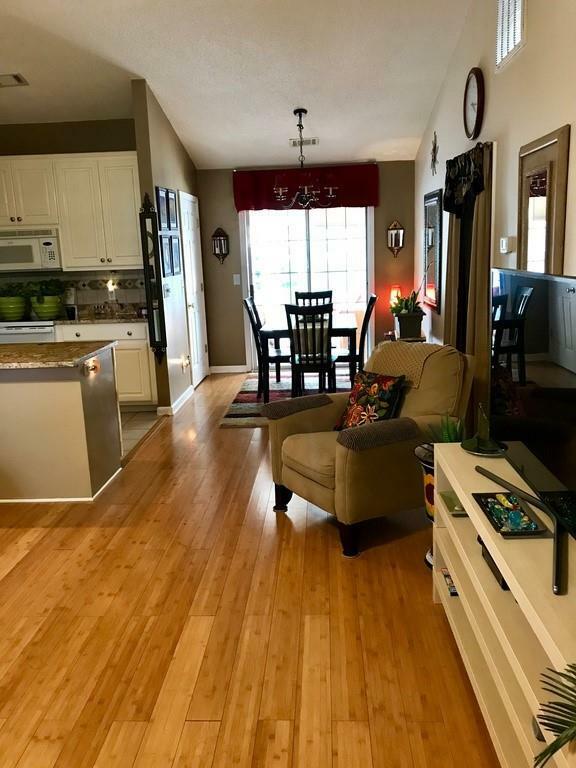 Upgrades include: laminate bamboo flooring, faux wood blinds throughout, new paint, new light fixtures/ceiling fans, granite countertops in kitchen and master bath w/ undermount sinks & new faucets. 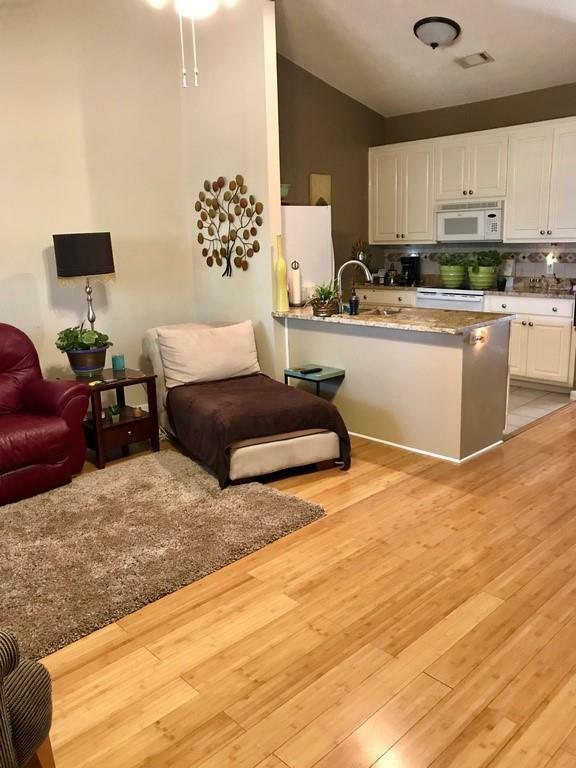 Community features include pool and close proximity to shopping, downtown Gainesville, dining, medical, and more! Will not last long!